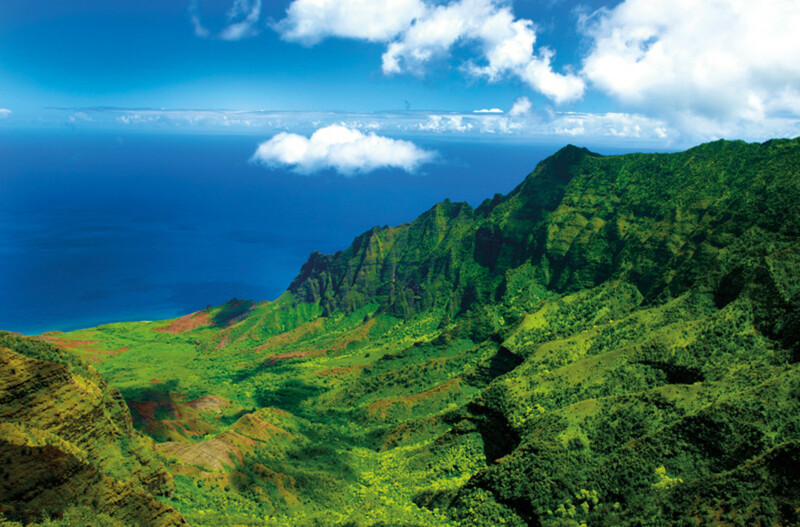 We'll show you how to conquer Hawaii's stunning, rugged paradise. Believe it or not, the rainiest spot in the United States is not Portland in December. No, to find that particular soggy bliss, you must head over the Pacific to Hawaii’s oldest and northernmost inhabited island. In its center, the towering Mount Waialeale acts as a volcanic catcher’s mitt for easterly trade winds, its steep cliffs funneling the moisture-laden air into clouds that drop 450 annual inches of warm rain onto the verdant jungle below. 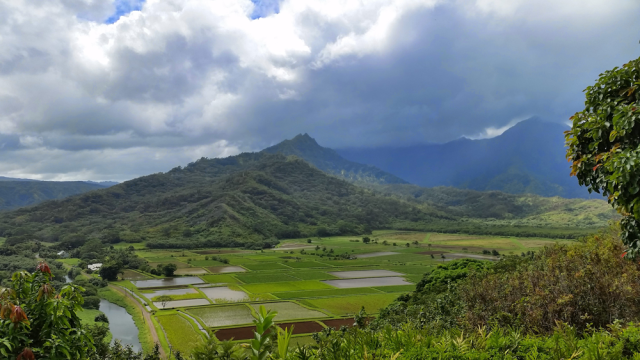 This is Kauai—the so-called Garden Island, an unblemished puzzle of microclimates bursting from a patch of land roughly the size of Multnomah County. In the island’s northwest corner, the Na Pali coast’s 2,000-foot sea cliffs (above) tower over secluded beaches, accessible only by foot or by boat. To the west, Waimea Canyon carves a 10-mile-long, 3,600-foot-deep crevice of red basalt blanketed with glowing patches of green. On the island’s flatter, sunnier eastern half, the towering Wailua Falls lurks just 15 minutes from the airport, cascading close to 4,000 cubic feet per minute. 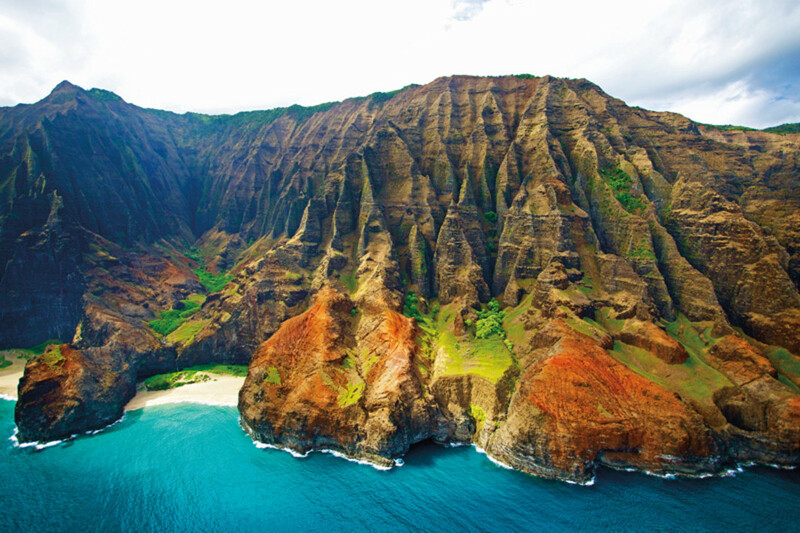 Nearly half of Kauai’s 111 miles of coastline is covered with white, sandy beaches. We still haven’t gotten to the best part: only 69,512 people live on these 550 square miles. That’s half the population of Maui, and less than a tenth of Oahu. No building can be taller than the tallest coconut tree (approximately four stories), and more than 65 percent of the island remains inaccessible by car. No wonder that when Hollywood needs a remote backdrop, Kauai is at the top of the list: Jurassic Park, Raiders of the Lost Ark, South Pacific, and dozens more movies were filmed here. And with plenty of island-grown coffee, wild chickens and roosters roaming the streets, and farmers market in full swing every day, it’s a Portlander’s paradise—especially in winter, when temps “drop” to a daytime average of 79 degrees. 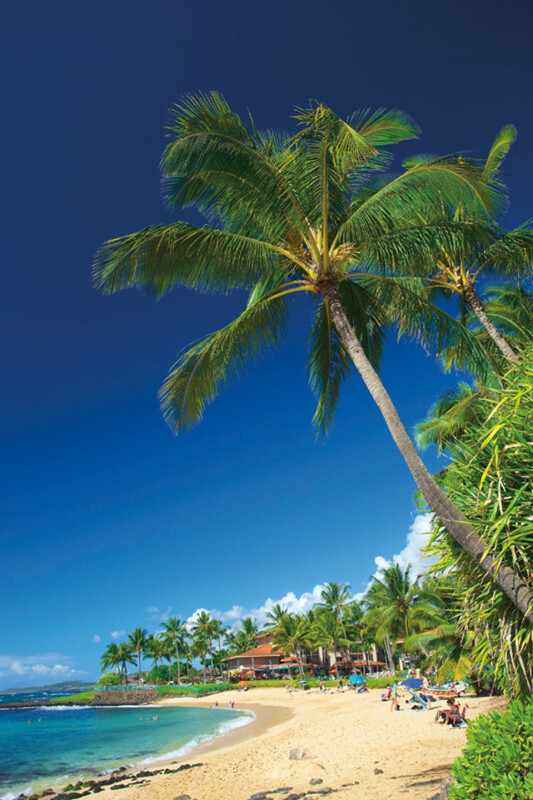 You’ll land just feet from the ocean in Lihue, the island’s second-largest town. Shake off the six-hour flight with a bracing espresso at Art Café Hemingway, then hop aboard a two-person kayak from Outfitters Kauai in the Hule’ia River. A lazy two-mile paddle takes you past the ancient Alekoko fishpond—built, as legend has it, in a single night by the island’s first settlers—to a trailhead that leads you on a short jungle stroll to a hidden waterfall. 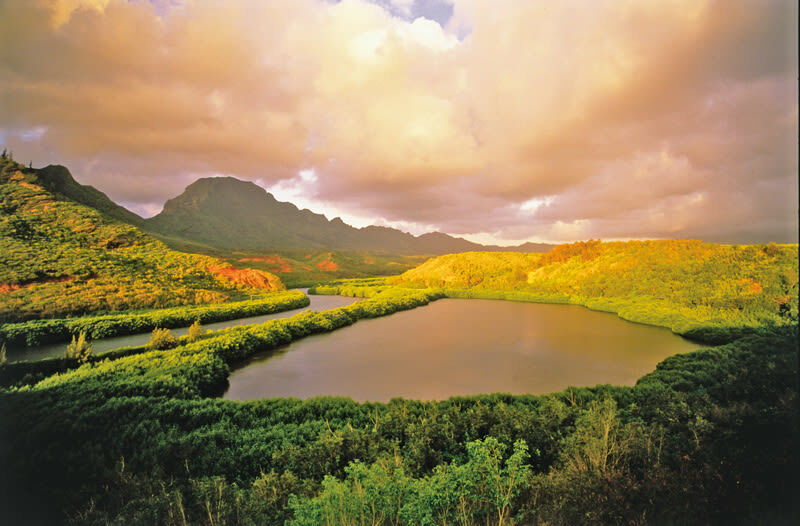 If jet lag has you feeling sapped, just take a seat in one of Kauai Backcountry Adventures’ oversize inner tubes to explore the island’s agricultural history, racing down still-functional 19th-century irrigation ditches that nourished Kauai’s once-ubiquitous sugarcane fields. Cap off your first-day adrenaline rush by stocking up at the island’s only distillery, Koloa Rum Company, located on a former sugar plantation. From Lihue, head north to Hanalei Colony Resort, where modern condos feature full kitchens and views of the Haena Bay framed by the fog-encased Mount Namahana in the background. The shared garden’s charcoal BBQs call out for lightly seasoned ahi steaks or local grass-fed beef. (Stock up at the Big Save in Hanalei.) Just a few minutes away, you’ll find the snorkeling destination of Tunnels Beach, a crescent-shaped patch of sand protected by a natural reef and dotted with underwater caverns. Lace up your hiking boots and drive north to Ke’e Beach—the farthest north your car can take you—where you can plunge deep into the heart of the island on the Kalalau Trail (above), which takes you up the Na Pali coastline along an undulating path through forests, valleys, and canyons. Just a couple of miles in, the Hanakapiai stream and beach makes an easy turnaround point, but hardy adventurers who tackle the two-day, 22-mile round-trip trek will be rewarded with a night on one of the most remote beaches in the world. Whichever you choose, recover by treating yourself to a festive happy hour poke bowl at Kalypso in Hanalei, where the bar’s owner/cook joins a live reggae band on stage on Friday nights.